I don’t know about you, but in my small home, horizontal surfaces are few and far between. I wish I had a giant sideboard that I could march a dozen herb plants down, or multiple table tops to spread out my fern collection. But, I don’t. You probably don’t either, but still want to grow an indoor garden of some variety. That’s ok, because we found these inspiring ideas for creative indoor vertical garden planters! Use that vertical space to create a wall garden, because nothing creates real life in a room more than plants and flowers! 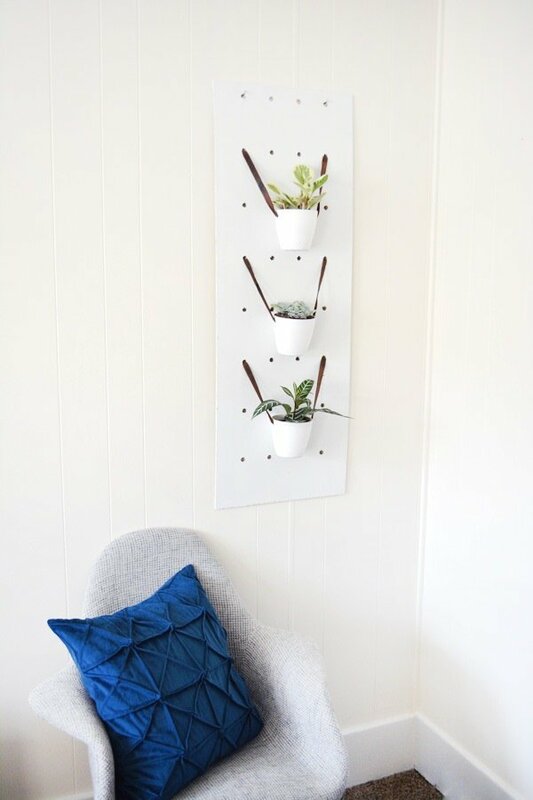 Our first pick is this DIY indoor wall planter from ‘Bre Purposed‘, made from pegboard. She actually made her own (it’s easy) but you could buy pegboard for this project too. 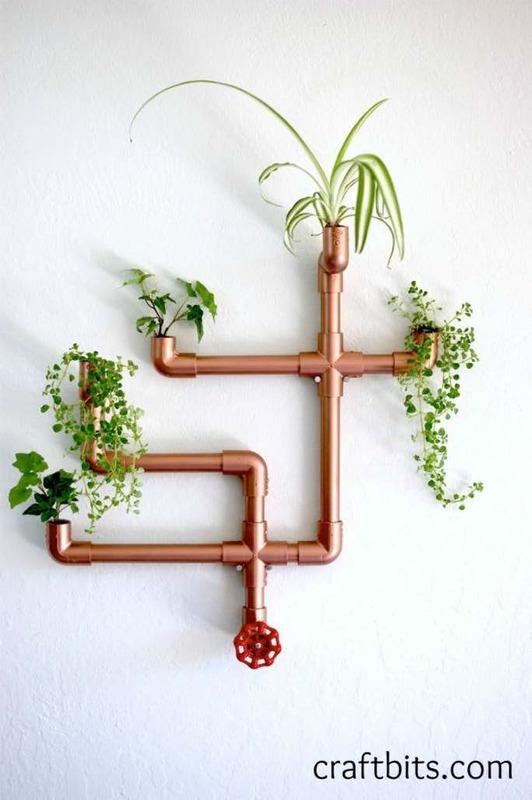 This next project is really cool, because it’s a vertical garden planter that looks like copper pipe. But it’s not! It’s plain ol’, easy to work with PVC pipe painted to look like copper! The DIY tutorial is from The Maven at ‘Craft Bits‘. This DIY plant wall by Mandi at ‘Vintage Revivals‘ is made from wood strips and leather. Yep, leather straps hold in the planter pots! 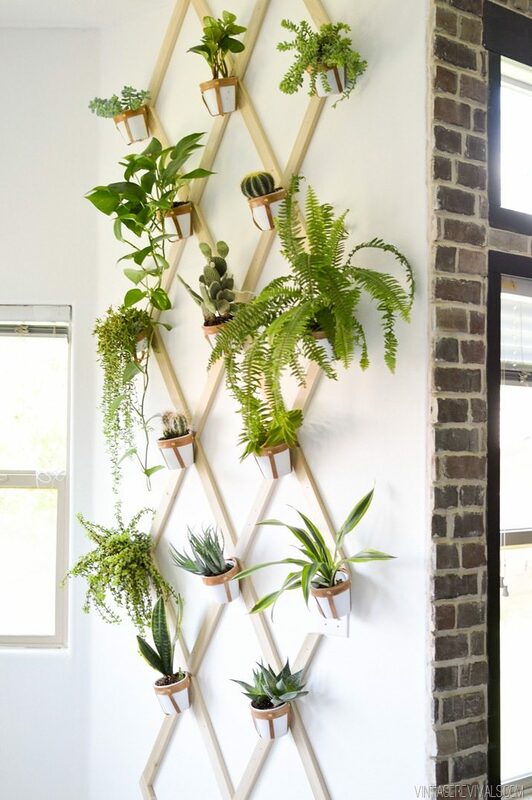 If you want a cool indoor plant wall, this is the DIY for you! Ok. Seriously? 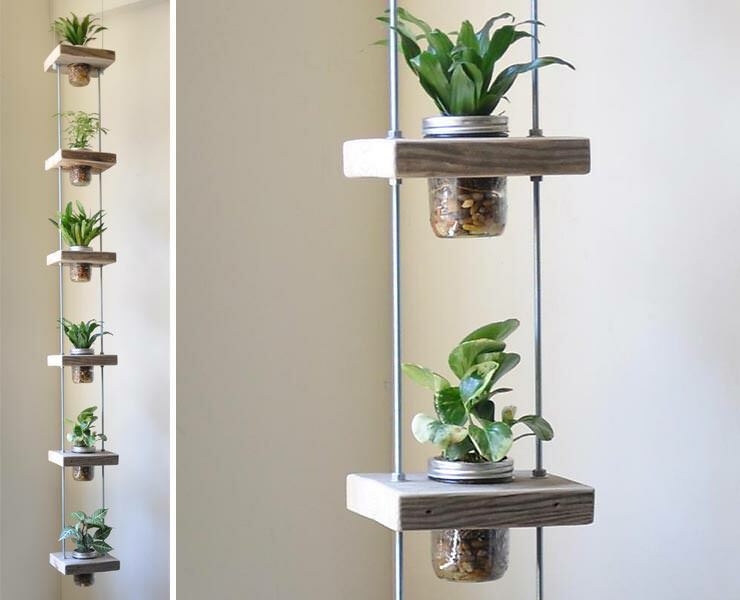 These vertical garden planters are a DIY project! They look like they come right from ‘West Elm’ or Crate & Barrel’! From ‘Design Love Fest‘, she makes these little plant pockets from air dry clay. Such a fresh and fun project. And this coral color? On the list for our Palm Springs house! Don’t want to take the time to make those planters (above)? Thats ok, ‘Wayfair‘ has a wall planter that is almost the same idea! 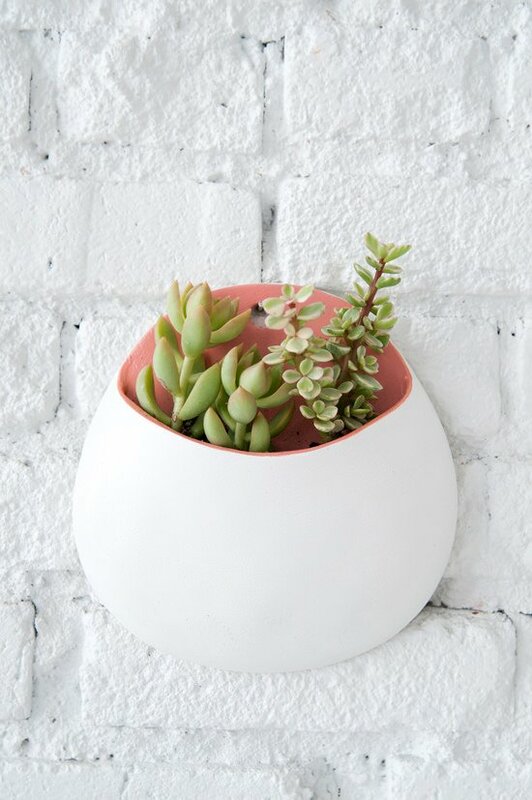 And, it’s inexpensive, so you can create a whole plant wall with these! Love, love, love this steel wall garden planter set from ‘Birch Lane‘. This is a set of three, and they look perfect just the way they are! However, if you want to funk it up a little, you can paint them too. These would be a perfect way to display air plants as well. 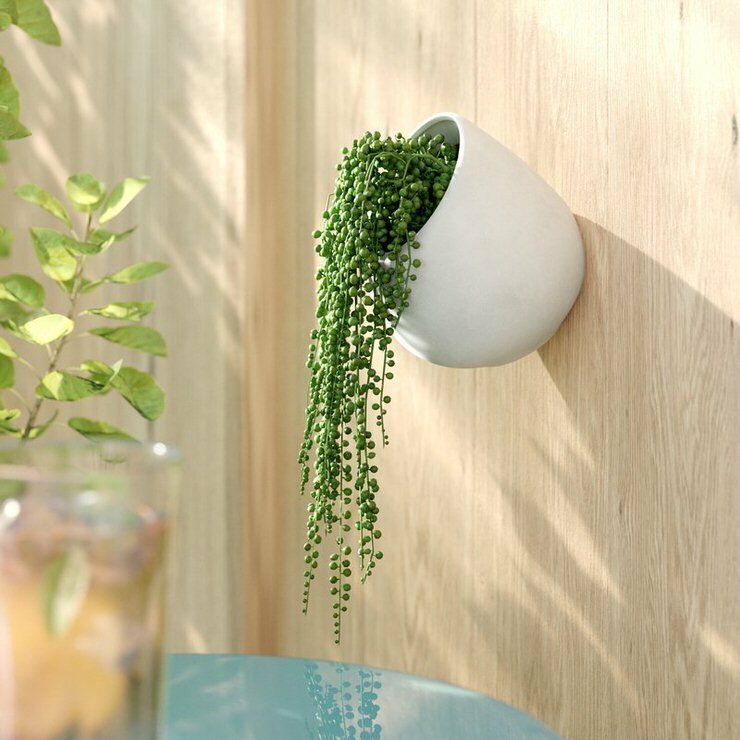 On ‘Design Milk’ we found the ‘Opot‘… this is a cool product that provides a plastic film and two eyelets to hang these unique wall planters… Find out how to use the ‘Opot’! Ikea hacks are really popular in the DIY world because you can take cheap furnishings or supplies, and turn them into something really cool. 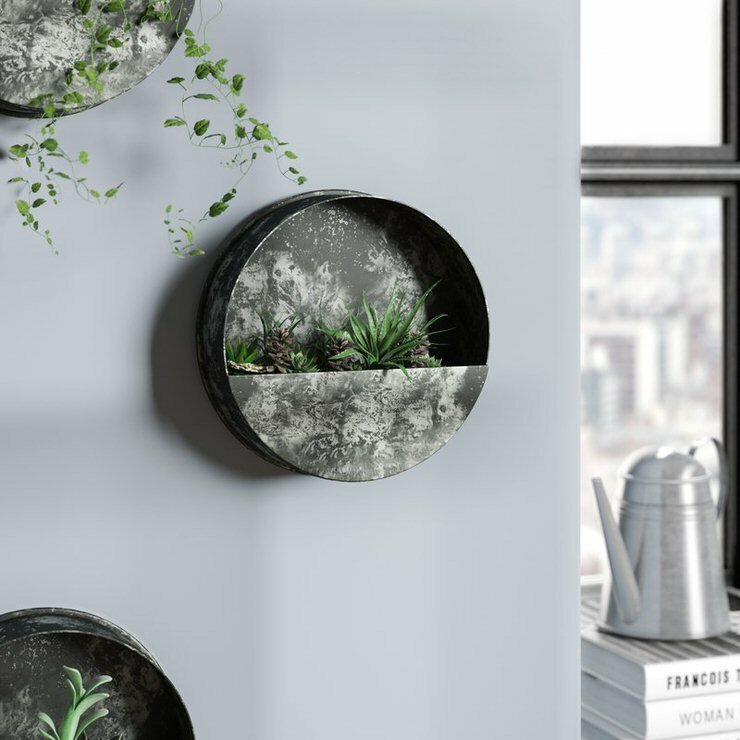 Vertical wall planters are no exception! ‘Pretty Handy Girl‘ made this living plant wall for indoors in about 30 minutes using the same 79 cent Ikea containers we used on our modern outdoor plant wall over at ‘TGG’. Easy tutorial, easy project! 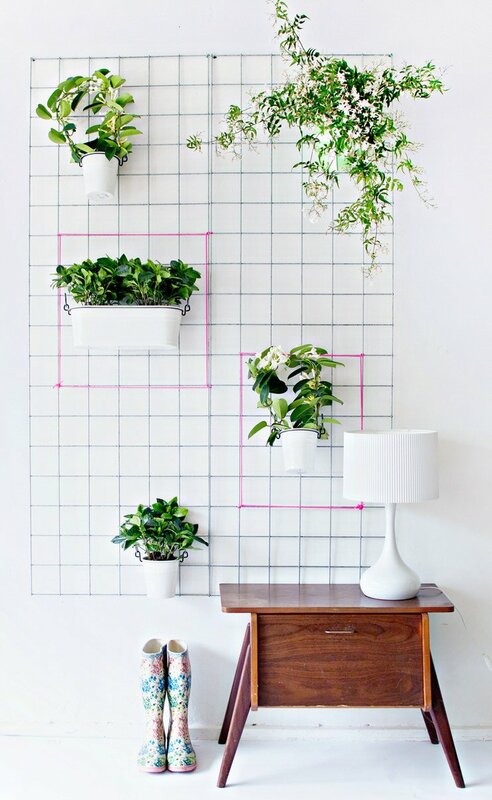 Same vertical garden planter idea, different types of Ikea planters, and we love the pink pop! From ‘Lana Red Studio‘. 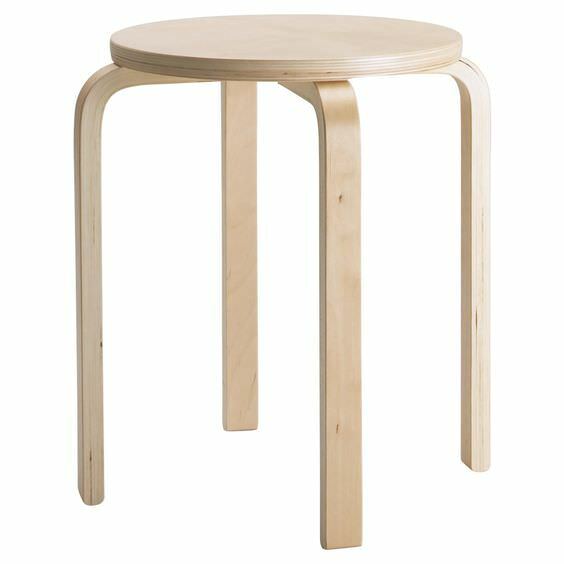 So the next two Ikea planter hacks both use the “Frosta” stool from Ikea. As a matter of fact, one uses the legs, and the other uses the top! You could make both the following projects from one stool! This first vertical garden planter DIY uses just the legs from the Ikea stool. You will need Google Translate for this page, at it appears to be in Dutch! From ‘vtwonen‘. This next wall planter just uses the top of the stool. 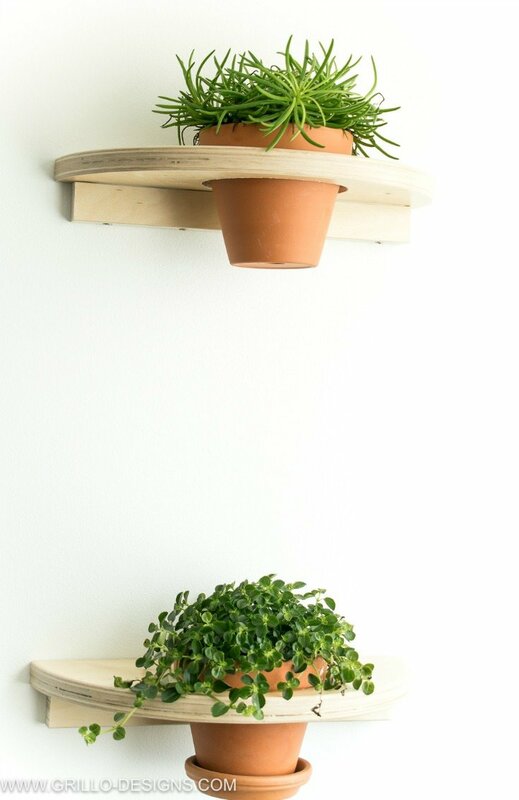 This Ikea hack planter from ‘Grillo Designs‘ is the perfect plant shelf! Lots of step by step photos. 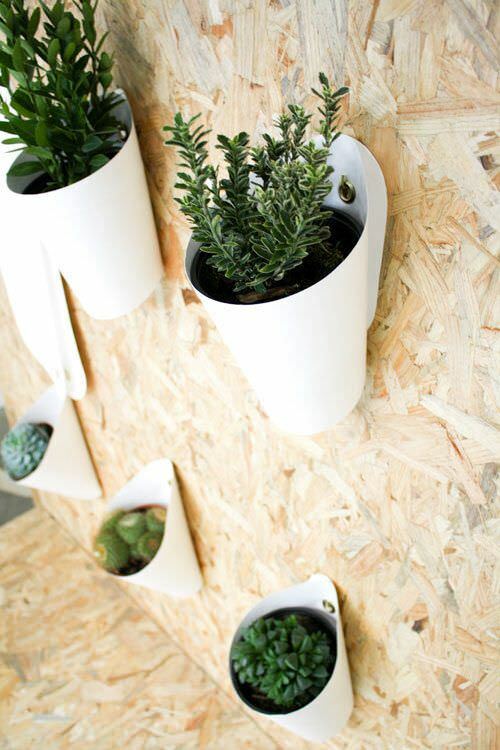 From ‘Ten June‘, this Ikea bucket wall planter makes a big impression. 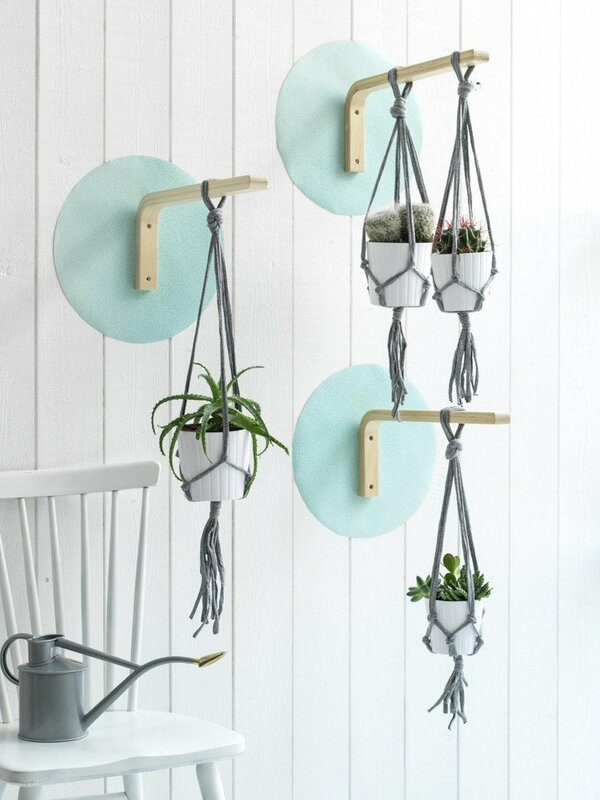 Michelle simply hangs them with picture hangers, and pops in a plant! 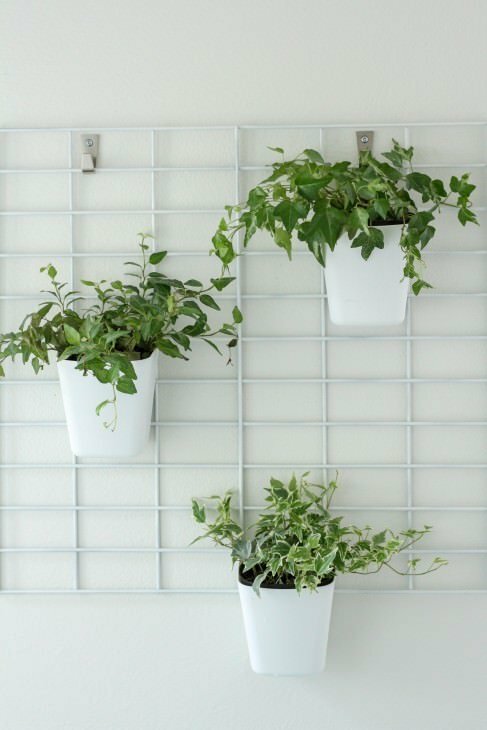 Are you inspired by our post on Indoor Vertical Garden Planters? 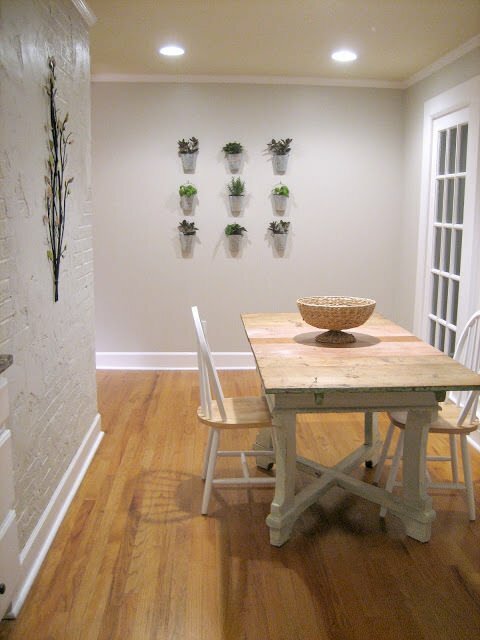 Then hop on over to our posts on Decorating with Air Plants and Stone & Brick Accent Wall Ideas! Previous Post Not Your Mother’s Bobby Pins – Pretty Hair Accessories You’ll Want to Buy Now! These are clever ideas for making a garden! I don’t have a big garden at the house and these vertical wall garden quite are perfect for me! I’ll try making them! I absolutely love that vertical buckets idea. Finished installing it yesterday at my appartment and now Im fascinated how this idea enriched my living space. I, personally, love to add plants to any possible corner at my place) And by the way – I used Apromera`s flower pots – they were just what I`ve looked for! I love the re-purposed wood idea! How did you attach the buckets? Screwed into the wood? Or attached so the buckets could be removed? Im sorry, its not our project, so we don’t have that info… Sorry we couldn’t be more help! Great article, beautiful examples! Looking forward to adding this to my home. Thank you! Finally some ideas as to how to get the 7 plants i own off my coffee table! Great post, thanks! These are great, but are specific plants that you should use? I am worried they won’t get any sunlight. Is just watering them enough? Now if you had some idea on lighting for the plants that would complete the my world. Thanks for the ideas, some are outstanding. These ideas are just what I’ve looking for. I love that the plants high enough up that our cats won’t be able to get to them. * Well we do have a few jumpers but think they will still be ok. Can’t wait to try them. Muy bueno e interesante su jardineras de pared. Atte. Silvia Samamé B.
I love the indoor gardens you featured here.